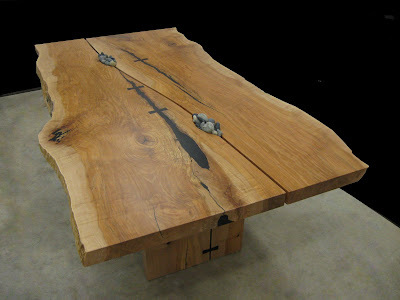 Live edge, character, gapped slab dining table with rock detail. 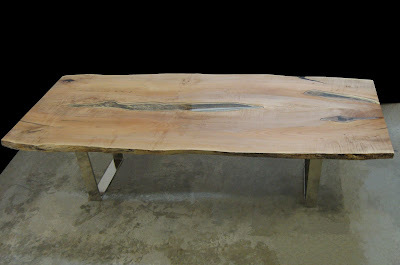 Live edge, joined slab dining table with glass insert and steel base. 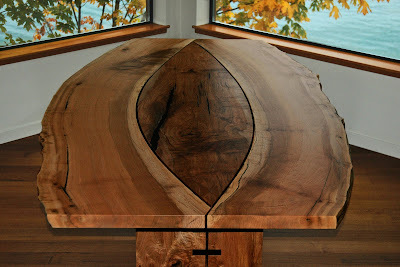 Live edge, character, gapped slab dining table.